Kelly and Kyle Phelps’ are Professors at private Catholic universities in Ohio. Kelly is a Professor and Chair of the Art Department at Xavier University (Cincinnati) where he oversees the sculpture department. Kyle is a Professor at University of Dayton (Dayton) where he is the head of the ceramic/sculpture department. 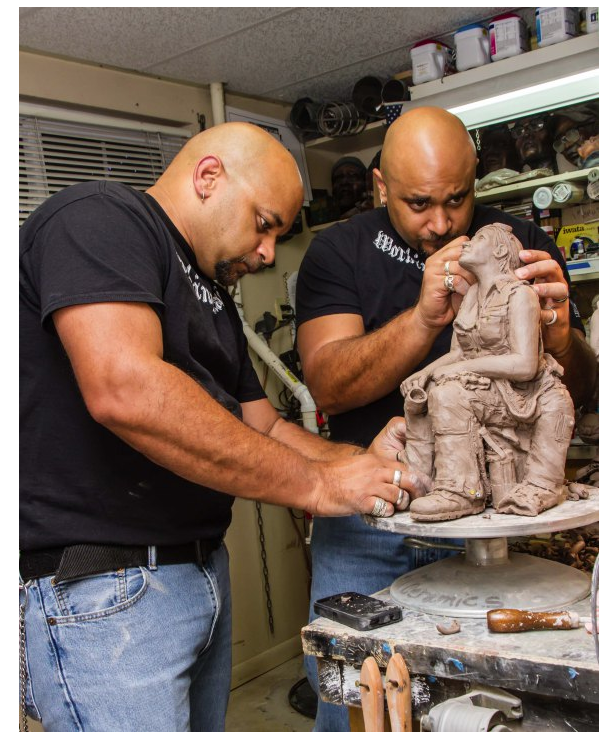 They work collaboratively to create their artwork and share a studio in Centerville (OH). Kelly and Kyle Phelps’ work encompasses the creation of traditional ceramic, sculpture, and mixed media art. 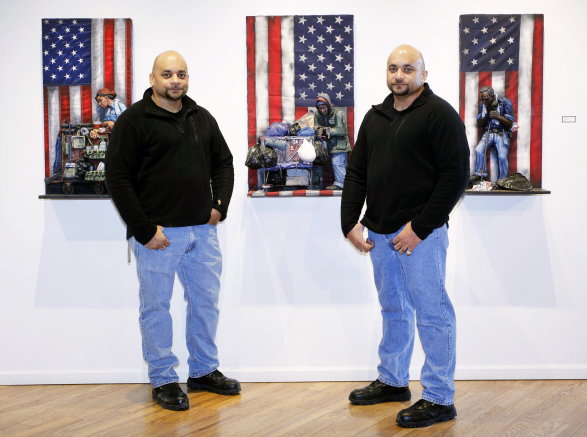 Much of their work is about the blue collar working-class, race relations, and the everyday struggles of the common man and woman. It is important for the twins to continue to combine hand-crafted art forms together with these found objects in order to give their work an authentic sense of place and time. Much of Kyle and Kelly’s work not only allows the viewer to visualize the compositions, but also rouses their other senses as well. Some of the found objects that the twins have incorporated into their work are soot-covered or soaked in cutting machine oils that emit a distinctive odor commonly found in automotive factories.